A.S.P.E.N. 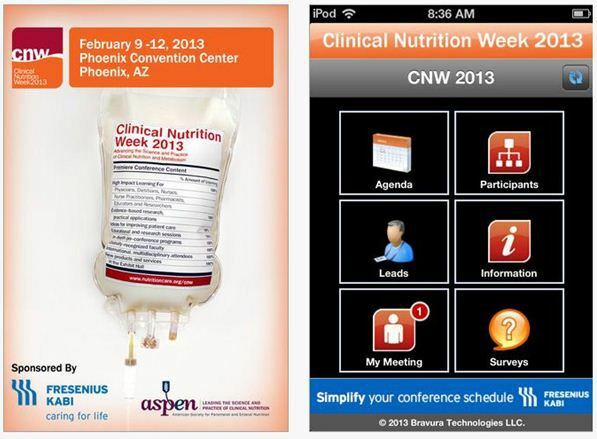 has made it easier for you to optimize your Clinical Nutrition Week 2013 (CNW13) experience by launching an app. CNW13 is set for February 9-12, 2013, in sunny Phoenix, Arizona. The mobile app, available for iPhone, Android, and other devices (yes, including your iPad! ), is a great way to track your CNW meetings, sessions, and events, as well as plan which booths you’ll want to stop by in the brand new revamped exhibit hall. 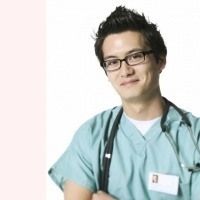 You can even message other attendees – talk about networking potential! And if you’re worried about getting lost in Phoenix, the app is definitely for you; built-in maps of Phoenix and the convention center will ensure that you always find your way. With all of this and more at your fingertips, does it get any easier? Sample screenshot of the CNW13 app. The CNW13 mobile app is sponsored by Fresnius Kabi and is available to users free of charge. 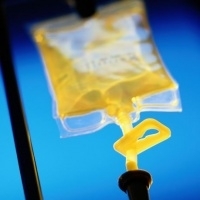 To download the CNW13 app, please visit https://itunes.apple.com/us/app/clinical-nutrition-week-2013/id577899435?ls=1&mt=8 for Apple devices, https://play.google.com/store/apps/details?id=com.bravuratech.ASPENCNW13&feature=search_result#?t=W251bGwsMSwyLDEsImNvbS5icmF2dXJhdGVjaC5BU1BFTkNOVzEzIl0 for Android devices, or http://www3.bravuratechnologies.com/aspencnw13/mobileweb/mlogin.aspx for mobile Web.